Gandhinagar Institute of Technology gives importance to the all-round development of students. Following the trend, GIT organized its annual sports named “IMPULSO 2019” on 11th, 12th & 13th February, 2019 on college ground to provide platform to the students to showcase their talent in sports events. 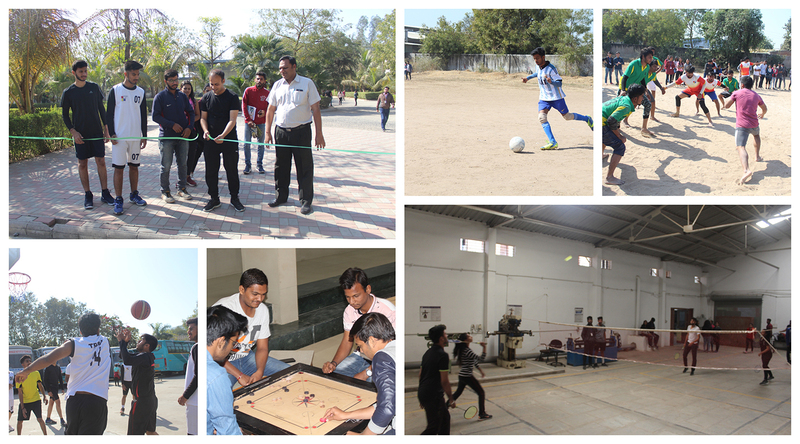 The students and faculties were at their harmony to organize panoramic activities related to sports activities. The objective behind keeping such sports events is to develop physical fitness by maintaining and increasing components like speed, flexibility, muscular strength, muscular endurance, aerobic capacity and anaerobic capacity amongst the students.